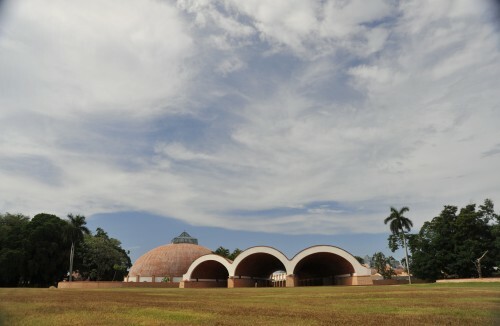 Porro's School of Plastic Arts. 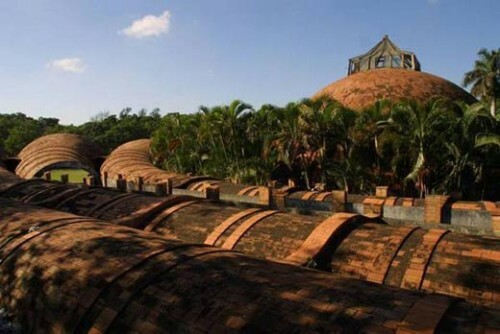 We got to see one of our favorite new architectural documentaries on Sunday, called Unfinished Spaces: Cuba’s Architecture of Revolution, by Alysa Nahmias and Ben Murray. The film documents the creation, and subsequent scuttling, of Cuba’s National Arts Schools. 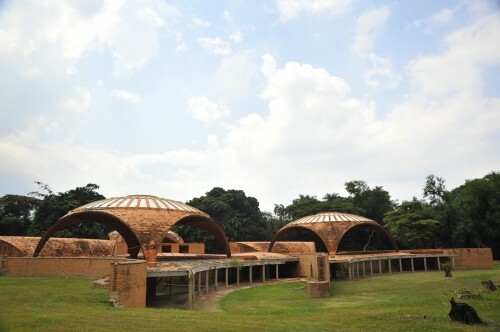 Designed by architects Ricardo Porro, Roberto Gottardi and Vittorio Garatti, the highly expressive Modernist schools, built mostly of Terra Cotta, were an example of visionary architecture and idealistic arts education for all, from dance to visual arts. But after the Castro government wearied of creative expression and embraced Soviet-style building, they changed their minds, shutting down construction, although classes later continued in the schools’ ruins. Now the country has once again done an about-face and is hoping to save them, despite a lack of government funding. Look at our next issue for a full review. And if you’re in LA, check out more screenings of the film on June 24 and June 25.